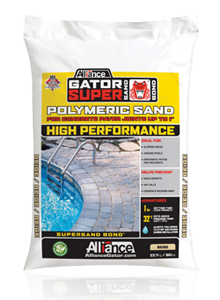 The invention of Poly Sand makes paver jobs maintenance free! 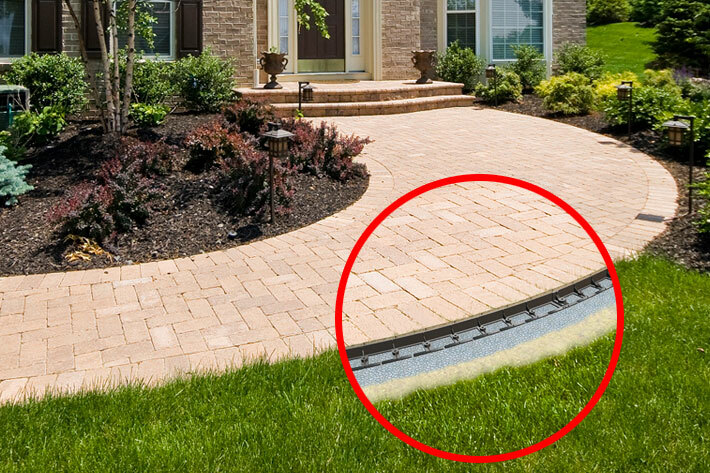 Polymeric sand is used for the joints between pavers. We stock it in Beige and Gray. It is applied much like regular sand. The special polymer binders mixed with the sand allow it to get firm after it is activated by water. Snap Edge is a one stop edging. It is installed on the outside edge of the paver and spiked down with 10" steel spikes. If your project calls for a radius, just snip the edge and it becomes flexible. Oly Ola sets the standard for landscape edging. They carry a full line of edgings used for pavers and landscape beds. They offer a 20 year lifetime guarantee will put those flimsy box store edge restraints to shame.